SPECIAL INTRODUCTORY OFFER - Usually 24.95 - TODAY JUST 14.95 - SAVE £10 - Whilst Stocks Last! 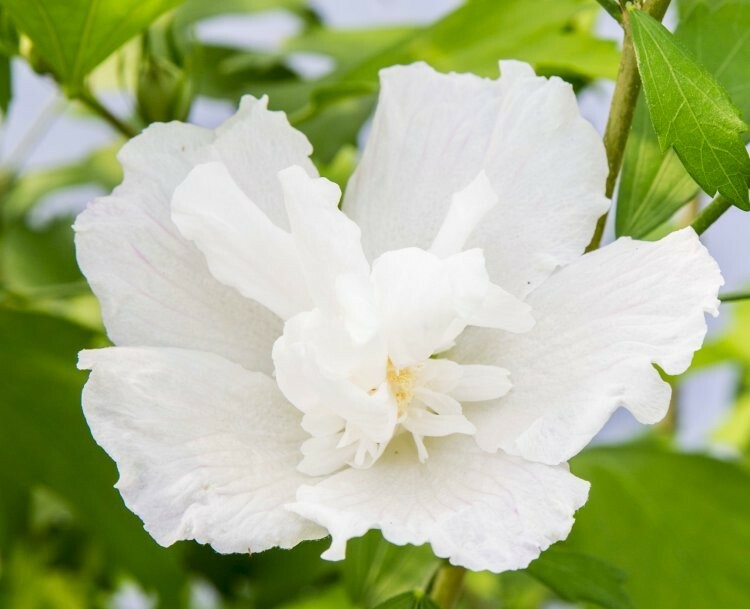 Hibiscus White Pillar is a naturally pillar-shaped Hibiscus, just like Purple Pillar, another new variety. Originally Purple Pillar was selected in Spain, with White Pillar being launched in collaboration with Dutch growers. 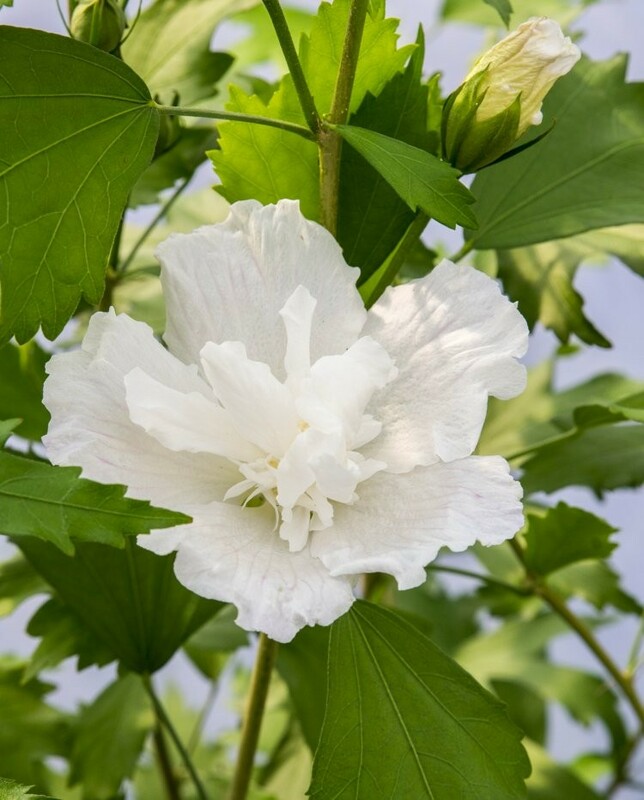 It has the same unique upright growth habit, but combines this with bright white semi-double flowers which form an attractive contrast against the dark green leaves. White Pillar flowers continuously from the end of July until the end of October. Purple Pillar is extremely versatile, even in smaller gardens, there is space enough for this tree as its habit stays slim. The height always can be controlled by pruning. Even as a patio plant and pot plant Purple Pillar does well. Supplied in approx. 3 litre containers at around 80-120cms tall, full of buds and flowers in season.